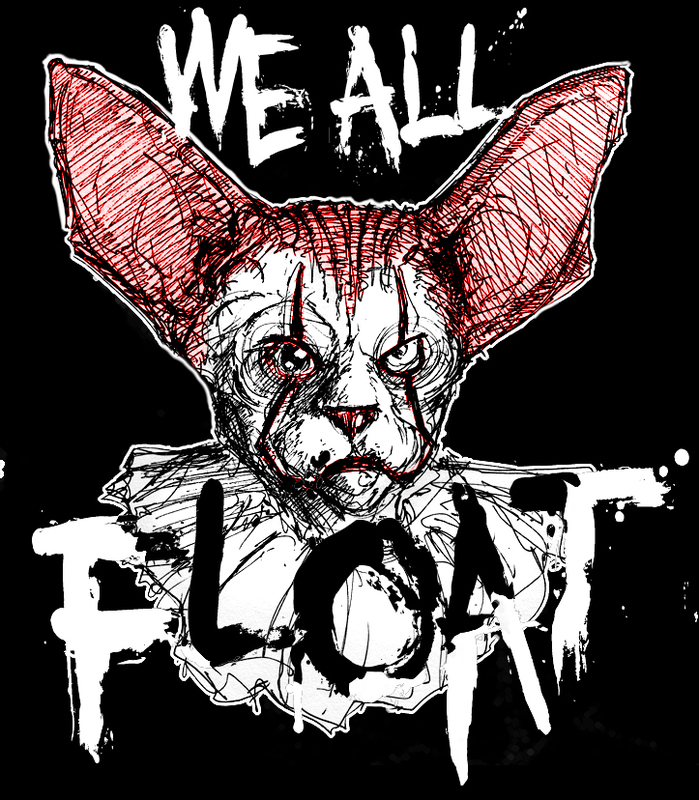 Inspired by the newest version of pennywise that hits the screen today, I started to draw a sphynx cat and somehow the clown began to emerge. I went and added some color to the black and white drawing, as well as the text. If you want to see what the original unaltered image looks like, check the store here: it's for sale at the moment. I have started to do a lot of drawing whenever I have a moment away from the family and no other pressing responsibilities or work. I am finding that even with just a few minutes here and there some great artwork is being created and I'm learning and growing as an artist more and more. 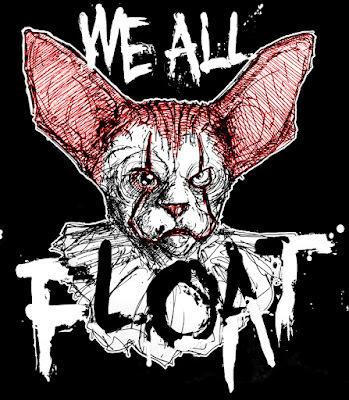 That means you get to see more zombie cats more often ... so it's a win all around. I currently have a dozen + zombie cat drawings that haven't been seen yet ... they'll be posted soon along with a colouring book. If you want to stay ahead of the game and find out what I'm working on before it's released, check my patreon feed. I post a lot of public images there as well as patron only posts with items like free high res downloads and pdf's of my upcoming books and images. 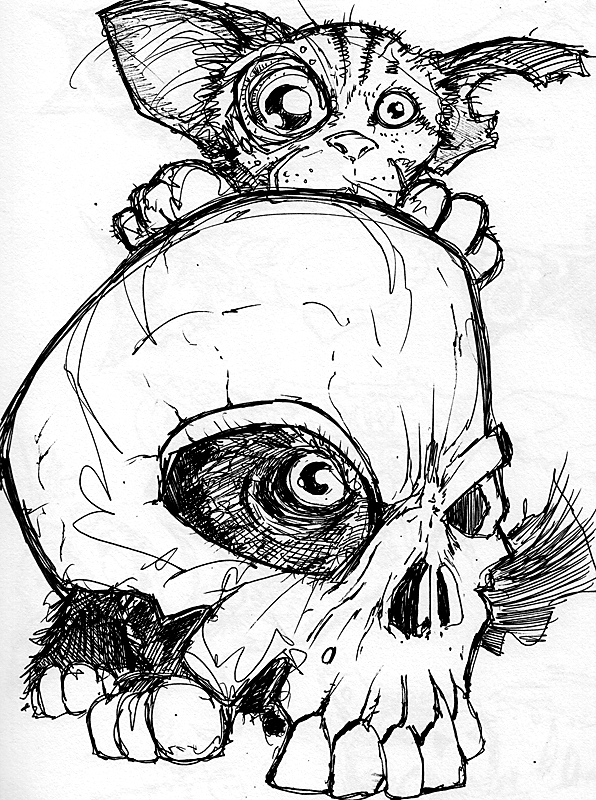 Here's an example of something that would be posted on patreon ... it's the start of 2 kittens and a skull. In patreon I might post progress shots or even a video of me drawing it. Eventually most things posted on patreon will become public, it's just cool to see things before anyone else. To add a bit more excitement, I'm going to start getting more audience participation with my posts on patreon. Even if you don't donate as little as a buck a month to the zombie cat cause, you should still check out the patreon page from time to time. You never know what kind of goodies might be waiting for you. Anyways ... new work is coming ... get ready!